Like the fun night-lights they have for you on ALL night, EVERY night. Neon signs are EVERYWHERE in Korea! Or the aroma that penetrates your nasal cavity every time you shower. 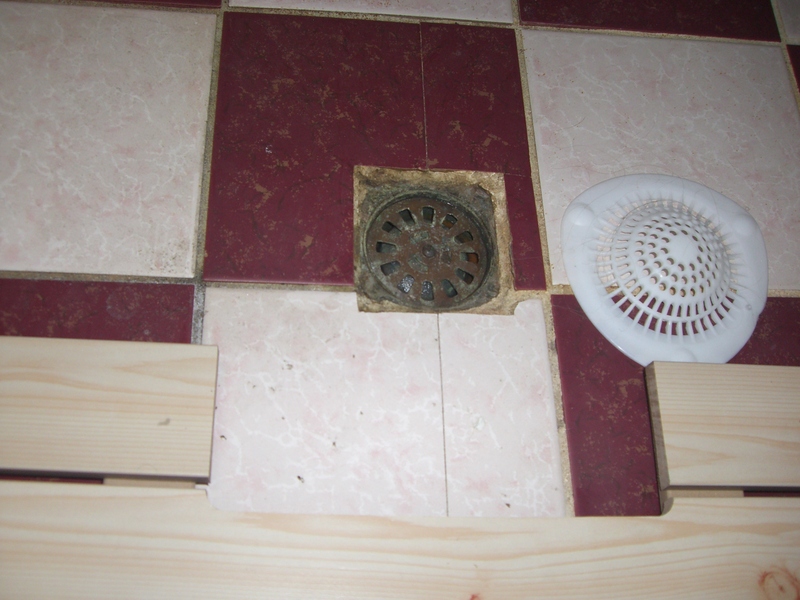 Note: the white thing is a drain cover to keep hair out of the drain. Oh, and don’t forget the joy 3:30am typhoon rains coming in your window! 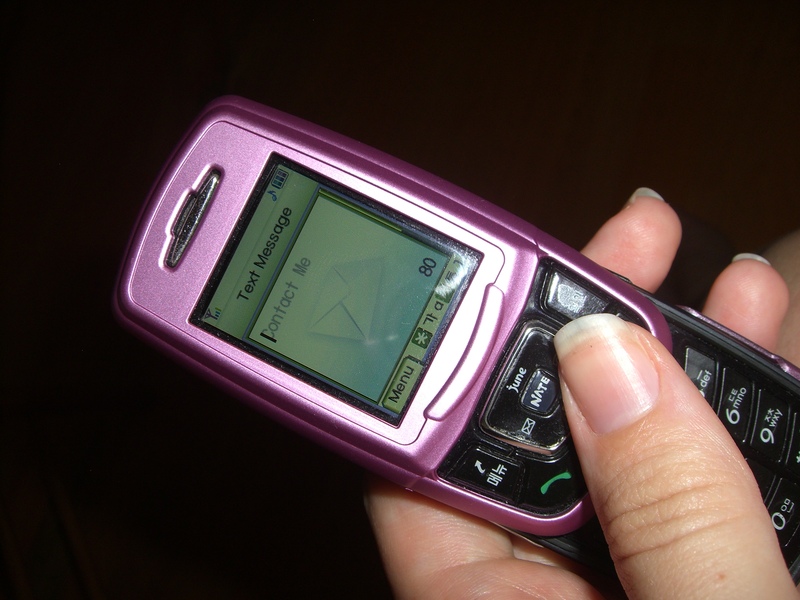 Some of the cheapest text messaging around! Cheaper to text than to call! 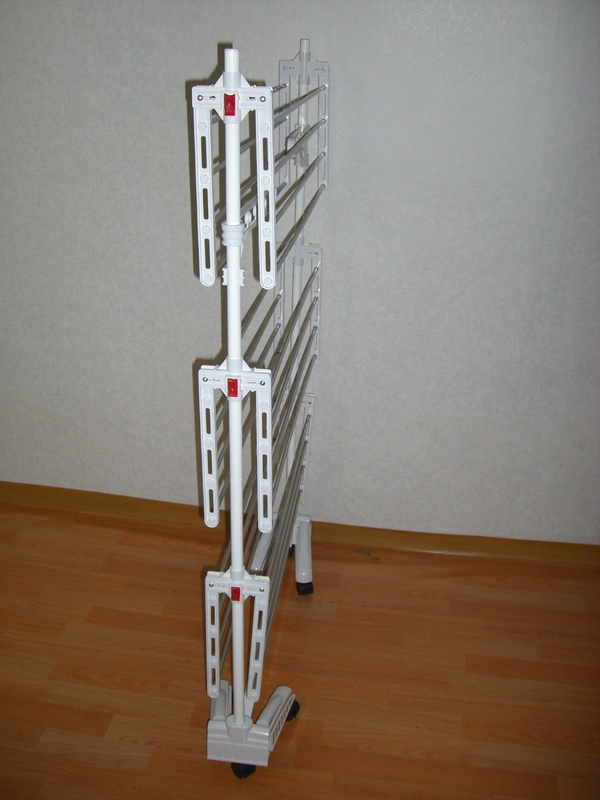 Ooh, ooh, and the ingenuity of a drying rack that expands to hold 1.5 loads of laundry, but also collapses to store just about anywhere! Open, it holds close to 2 full loads of laundry! Closed, even the wheels fold in--SCORE! 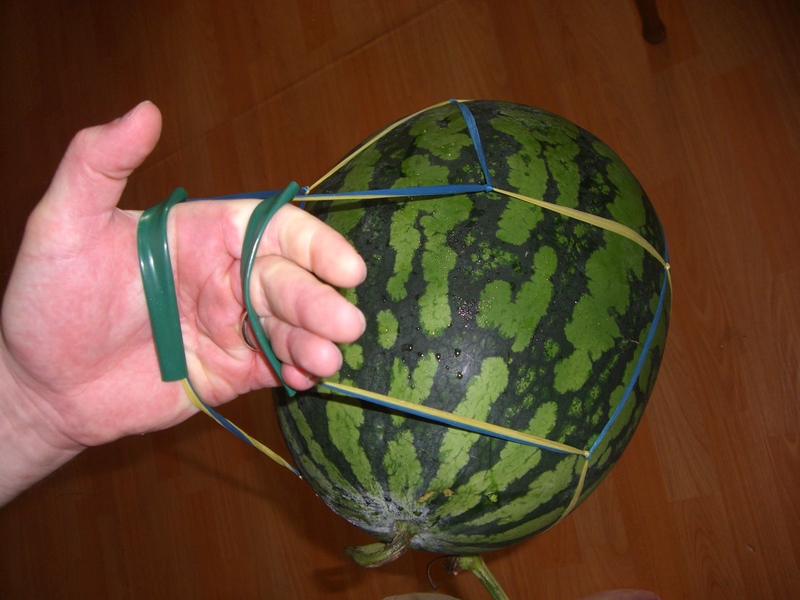 Last one-contraption to carry your watermelon home…with hand grips! What are some of the unique or interesting things where you live? This is a blog done by my friend. He’s lived here for 4 years, and he has come up with some ingenious helps to some of the woes of billa life. I’ll have to check it out–I know a few tricks of my own, and we have a system for that particular drain. Works pretty well so far, and as long as the shower is running water down, the smell stays away…drain cap goes back on and smell stays away!